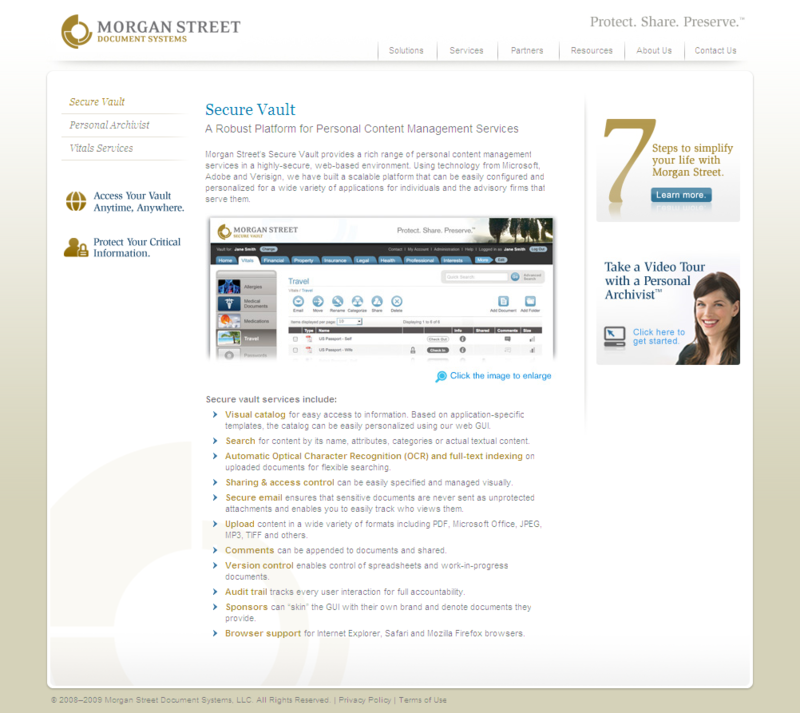 Secure Vault provides a rich range of personal content management services in a highly-secure, web-based environment. Using technology from Microsoft (Sharepoint), Adobe and Verisign, we have built a scalable platform that can be easily configured and personalized for a wide variety of applications for individuals and the advisory firms that serve them. 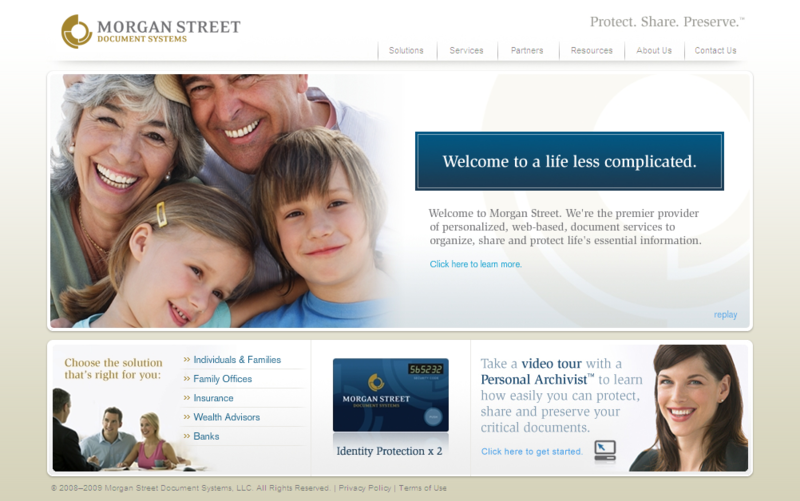 Morgan Street's target consumer are financially upscale folks who need a way to manage their information in one place. A personal archivist is assigned to a client if so needed. 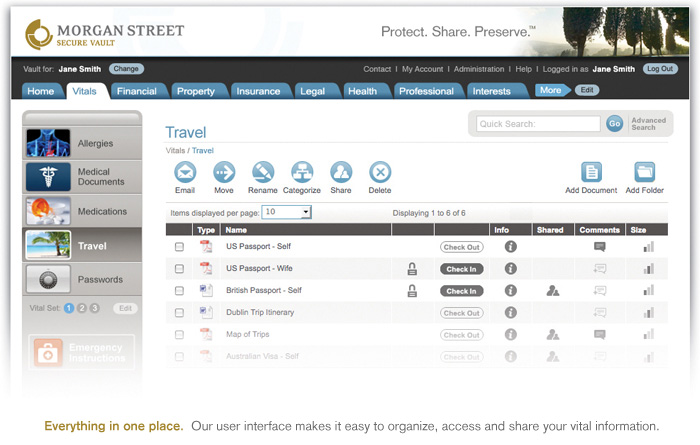 Roles: Financial software visual design consultant, usability testing, user experience evaluations.